At the moment Greece has 15 international airports. They are located mostly on the islands since those are very popular tourist destination. However, travelling across the country is simple and there are connections with every part of Greece. Explore in advance your journey route because maybe the smaller airports are more convenient for you than the ones in large Greek cities. Athens Airport is also known under the name of Eleftherios Venizelos Airport. It is the primary international airport which serves Athens and the region of Attica. It’s Greek’s busiest airport and serves as a hub of Aegean Airlines and other national airlines. According to last year, the airport is 30th busiest in Europe. Heraklion or Nikos Kazantzakis Airport is the country’s second busiest airport. It serves the air traffic of the island of Crete and is located 5 km east of the main city centre of Heraklion. It features flights to biggest European destinations and leisure centres, and during the high season offers connections to more than 100 places. Thessaloniki Airport is also known as the Macedonia Airport (formerly Mikra Airport) is situated 7 km south of the White Tower of Thessaloniki at Thermi. It’s the main airport of Northern Greece and serves the area of Thessaloniki, the popular destination of Chalkidiki and surrounding cities. The airport’s other name is the Diagoras Airport and it is located on the west side of the Greek island of Rhodes. It is 14 km southwest of the island’s capital. In high season it features (mostly charter) flight to many European destinations. The Chania or Daskalogiannis Airport is an international airport located on the Akrotiri Peninsula of Crete, serving the city of Chania, 14 km away. The airport offers a wide range of connections to all parts of Europe. The Corfu Airport, also called Ioannis Kapodristrias Airports, is an airport on the Greek island of Corfu featuring both scheduled and charter flights from Europe. The peak of travelling season is during summer, between April and October. The airport is located 2 km south of Corfu Town. The Hippocrates Airport is the other name of this smaller airport located near the Andimachia village serving the island of Kos. Since the island is a very popular tourist destination, the airport marks a high passenger traffic every summer. The Santorini Airport is located north of the Kamari village. For its size, the airport is able to serve no more than 6 planes at the same time. It is only 6 km southeast of the centre of Thira. It features flights by Ryanair, Olympic Air, Aegean Airlines and many other companies. 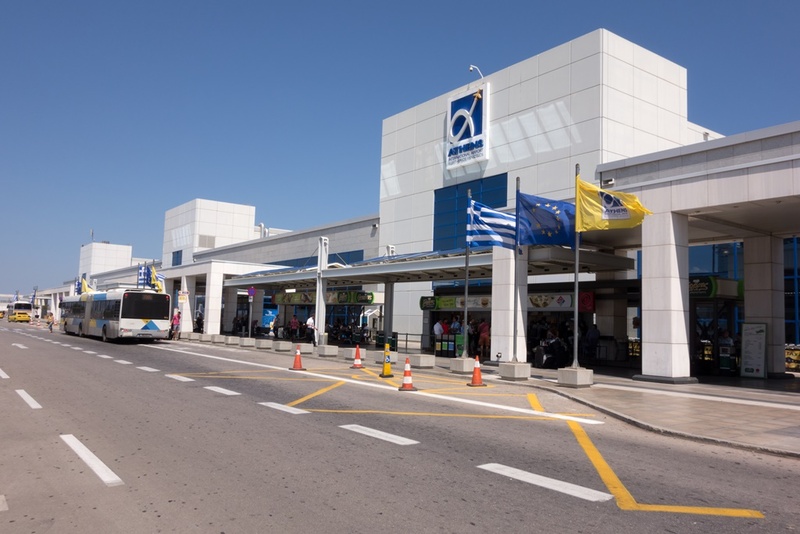 The Zakynthos or Dionysios Solomos Airport serves the Zakynthos island in Greece. The airport is in the vicinity of the city of Kalamaki. Unlike most other airports, it forbids landings and departures from 22:00 to 05:00h, due to endangered loggerhead turtles which lay their eggs on the beach at night. The airport serving Mykonos island is located only 4 km from the city centre. During the low season it has limited flight connections and operating hours. However, this changes in summer when the island becomes a popular tourist destination.